Chord Overstreet Still Welcome On "Glee"
Chord Overstreet could become a series regular in the future. 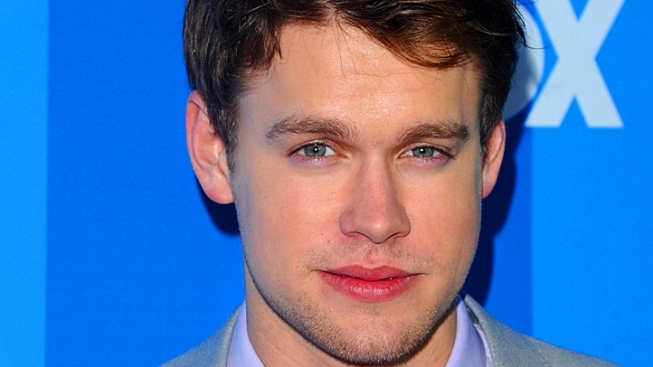 Despite the reports, Chord Overstreet is still welcome in the halls of "Glee's" McKinley High. A source told TV Line that the blond actor, who plays Sam, is still wanted on the program, but he has just not been made a "series regular" alongside Darren Criss and Harry Shum Jr.
"His option to be a series regular was just not picked up at this time," the source clarified. "If Chord wants to appear on 'Glee,' the choice is his. The 'Glee' writers like his Sam character, and have plans to write for him. He and his reps have been told that he is welcome back to 'Glee,' and everyone hopes he will show up on August 10 when filming begins." Gleeks were left stunned last week when a spokesperson for FOX confirmed to Access Hollywood that Chord had not been promoted to series regular, and might only return as an occasional guest star.. In TV Line's new report, published on the site on Wednesday, the source told the website that Chord could very well become a series regular in the future. "If Chord has a great season, which we expect he will, then he will become a regular like Harry, possibly as early as January," the source said. Chord has yet to address the latest news on Twitter, but last week, he Tweeted, "Well its been a good yr too bad its over. Time for summer and starting fresh," leading many to believe he was writing about his part on the show. The Tweet also came on the heels of the "Glee" tour wrapping up. A rep for FOX wasn't immediately available for comment when contacted by Access Hollywood on Wednesday. PLAY IT NOW: Will There Be More 'Glee' For Kristin Chenoweth?